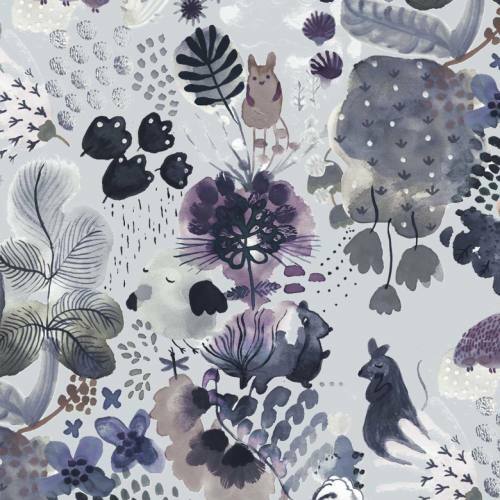 This playful Pom Pom wallpaper in muted tones of grey is an expressive design featuring whimsical painterly characters inspired by Scandinavian nature. Endearing little creatures, both semi-realistic and imagined feature within delightfully painterly florals and botanicals in a magical meadowland setting. Chic and quirky, it will look gorgeous on a child’s bedroom wall.